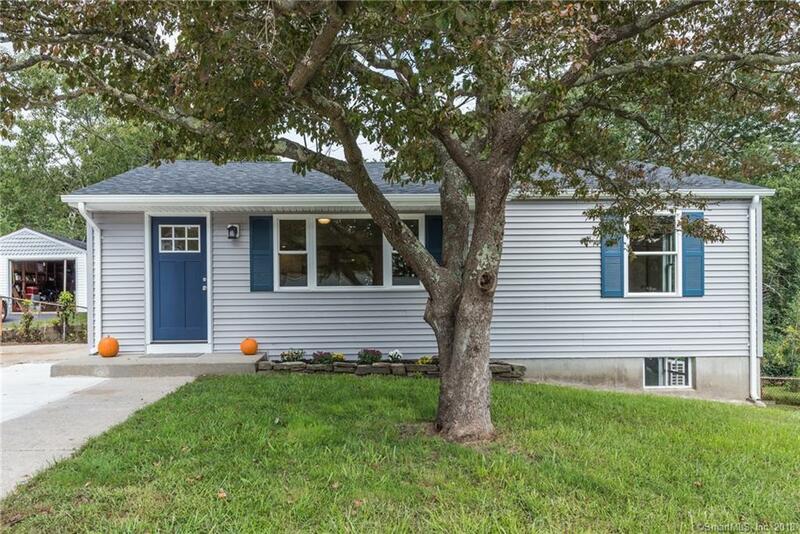 210 Baker Avenue Extension, Groton, CT.| MLS# 170141906 | Eastern Connecticut - Homes for Sale...from Mystic to Moosup & More ! From the Shore to the Country ! Remodeled, Stylish, and Location give this stunning home all the checks on the home buying checklist. The home has been completely remodeled featuring a new heating system, central air, new roof, new siding, new windows, electrical service, bathrooms, kitchen cabinets, granite counter tops, and stainless steal appliances. The house offers a nice open floor plan with a spacious kitchen with a wonderful island and lots of counter space. The master bedroom is surprisingly spacious with a walk-in closet and a master bathroom. The lower level offers over 250 sqft of bonus space a half bath/ laundry room, access to garage and backyard. The location will clinch the deal being only minutes to EB, Sub base, amenities, highways, and also gate access to Washington Park. Schedule today and "Prepare to be SOLD"